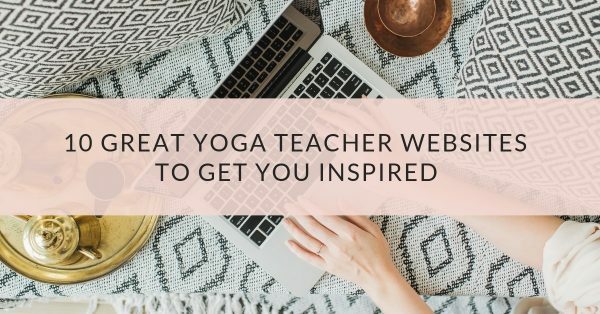 When you’re just getting started as a yoga teacher or with your spiritual coaching business, branding and everything involved with your website can be totally overwhelming. On top of that, you’re probably on a tight budget (those yoga teacher trainings don’t come cheap). 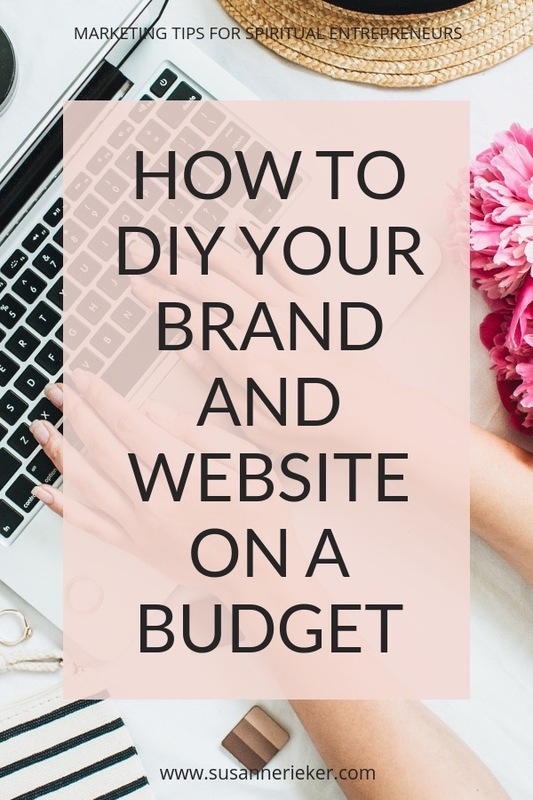 Today I want to share some tips with you on how to do your own branding and build your website if you can’t afford to outsource everything right now. Your mission will serve as a “north star” that will keep you clear on the direction of your business. For example, if you plan an upcoming event you can check if it aligns with your mission. Now you’re not just promoting your services and offers, you are promoting your mission. You’re giving people a reason to care. And this will help you create deeper relationships with your students and followers. You also need to think about who you want to serve. Whether you’re designing a new product or service, writing copy for your website, writing emails or creating social media updates – it will help you immensely if you have an idea who your ideal customer is. Creating an ideal customer persona is a great marketing tool to really improve your messaging. And it’s free! You just need to spend some time and effort (and you’re up for this, right?). I don’t think it’s a good idea to invest in a designer to create your logo for you when you’re just starting out. Mainly because you get what you pay for. I heard so many stories of people who hired a designer for example on Fiverr and got really terrible results. Fact is, a good logo designer will cost you good money, money you probably don’t have yet! The good news is, you can easily create your first logo yourself with www.canva.com! You can choose from their range of professionally designed logo templates, or design from scratch. Simply create a free account and enter “Logo” in the box “What would you like to design?” and you’ll get tons of templates that you can then customize with your brand’s colors and your name. If it’s your first logo I would recommend keeping it clean and simple, maybe just write your name in a nice font, like I did for my brand Happy Yoga Travels. Once you are at a point where you are ready to invest in your branding a little more you can always choose to hire a designer and revamp your logo if you’d like. 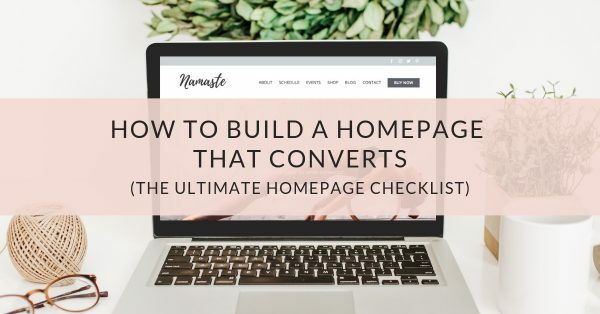 Choosing a domain name (that’s the name of your website URL, like mine for example is susannerieker.com) is similar to choosing a yoga teacher training – it requires a lot of thought and consideration. The best solution for many spiritual entrepreneurs is simply using your name for your domain. It’s the one thing that will stay with you throughout your career, even if you do change your business focus at a later time. If your name’s already been taken or is impossible to spell, you could try some combinations, for example “Janedoesyoga”. Your domain name is your identity on the web, so you want to make sure you choose a domain name that not only fits your business but is also easy to find and promote. Keep it short and if possible, avoid hyphens. For your domain name extension (that’s the suffix, like .com, .co.uk or .yoga) try to get the suffix for your country, for example .de for Germany. Unless you’re an international business, in that case try to get a .com domain address. I would stay away from .org or .net unless you’re a nonprofit but it can be okay to use one of the new, more creative suffixes like .yoga if .com is not available anymore. Finally, make sure the name you’ve selected isn’t trademarked, copyrighted or being used by another company. It could result in a huge legal mess and nobody needs that kind of stress. To find your domain name I like https://www.namecheck.com because it also checks the availability on social media. It’s great if you can use the same name all over because it will be easier for people to find you! You can register your domain for example with www.godaddy.com or www.siteground.com (I recommend to register your domain with Siteground if you decide to create a WordPress website and sign up for a hosting plan in the same step). If you’re thinking of building your own website, you’ll have to first decide which tool you’re going to use to set it up. I recommend WordPress.org because it’s free, popular (you’ll be able to find a developer to help you in no time if needed) and gives you total control and flexibility. There’s nothing you can’t do on a WordPress website. Even when you just need some simple pages right now, you’ll set yourself up to grow in the future. Also consider costs. With WordPress, you’ll need to pay for your domain, hosting and eventually a premium theme. Hosting for example with Siteground will cost you from $4 a month, your domain around $15 yearly, a premium theme around $60. When you choose a platform like Squarespace, you’ll pay a monthly or yearly fee that includes everything. It may sound like a great deal, but the costs add up over time. When you want to sell products and have more options like popups, you’ll need the business account where you pay $216 a year. Finally consider that they can increase their prices any time. Click here to learn more about the advantages and disadvantages of Wix vs Squarespace vs WordPress and what’s the best tool for your website. Start to collect images you want to use and write your copy, for example for your about page. Choosing the right images for your website plays a big role in representing you and your brand. If you don’t have high quality professional photos on hand, you can consider purchasing a few stock photos to lift the look of your website. People on the web tend to want information quickly, so it’s important to communicate clearly and make your information easy to read and digest. Use headlines that say exactly what to expect, use sub headlines and bullet points or small paragraphs. Dividing your content with sub headlines and paragraphs makes it easier for your reader to scan your content. 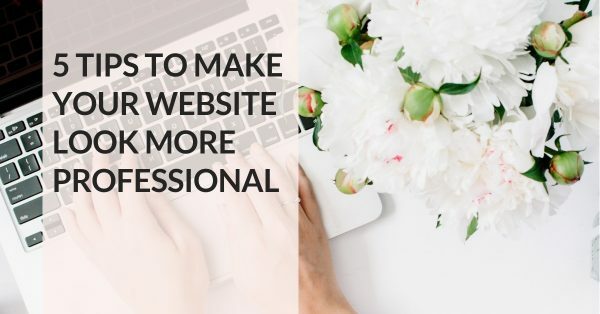 Your next step is to actually build your website, and this is where it gets scary for a lot of people. But fret not, my friend, you totally got this! If you’re using a tool like Wix or Squarespace check out their video tutorials. If you’re using WordPress, I actually have a course where I teach you step-by-step how to build a WordPress website yourself that will save you tons of time and money. Click here to learn more about it. When it comes to marketing your offers, such as your regular yoga classes, workshops, retreats or any other services, email marketing is hands down the most effective way to grow your business. That’s why right from the start you should begin collecting email addresses and get people to sign up to your mailing list. When you’re just starting out and are on a budget, I recommend Mailchimp because it’s free for up to 2,000 subscribers and they integrate with nearly all website builders. They also have a lot of great tutorials on how to get started. Set up your first form and add it to your website. In your form, describe in a few words what people can expect when they sign up. Make it engaging and fun. Whatever you do, don’t just say “Sign up for my newsletter”. Click here to learn more on how to set up your mailing list and send out your first newsletter. Now you have everything to get started! And when one day you decide to hire out and spend more on your brand and website, you’ll know what you want so you’ll be able to choose who you like best, instead of settling for someone who happened to be available at the time. If you’re ready to work with a professional on your brand and website, click here to learn more about my offerings and get in touch for a free discovery call.